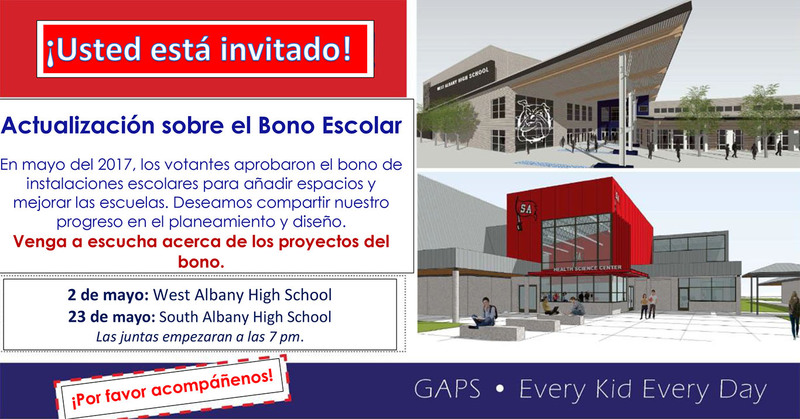 Work will start soon on bond-funded projects around the district. 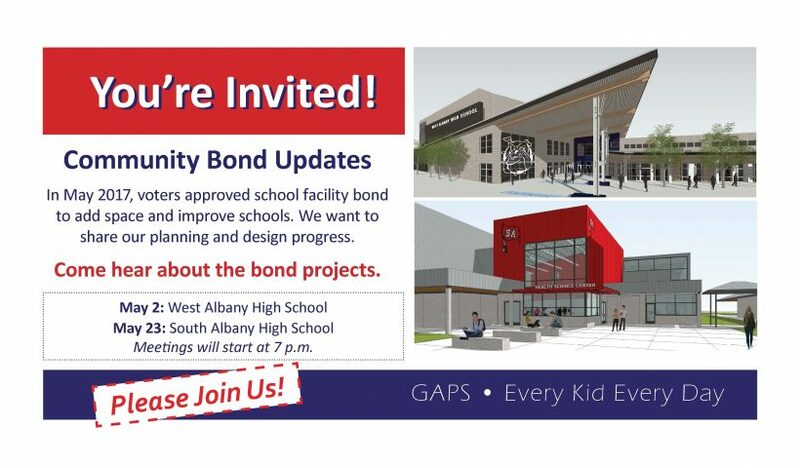 Come to a community meeting in May to learn about the plans. 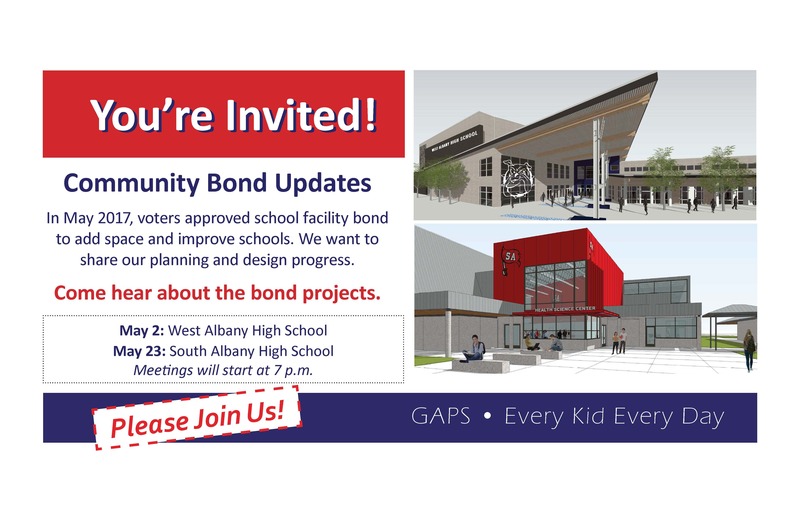 Both meetings will start at 7 p.m.